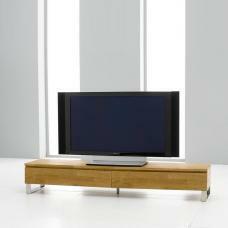 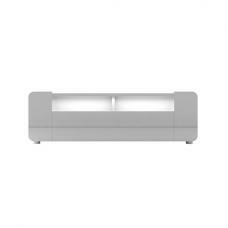 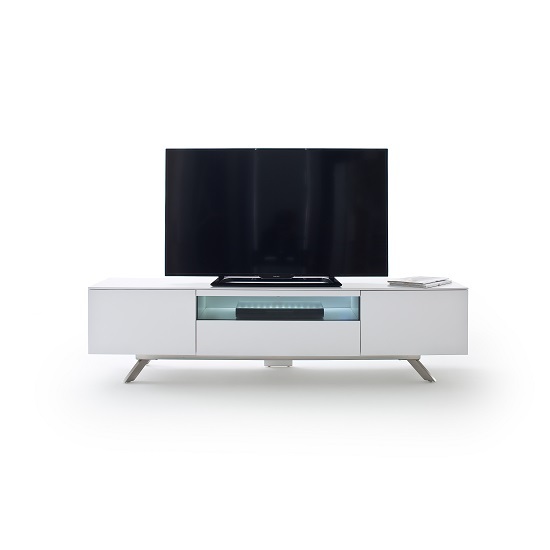 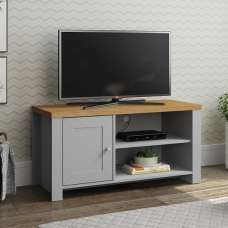 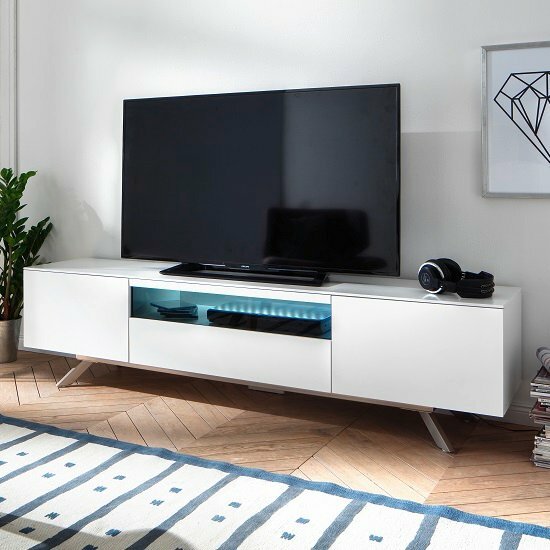 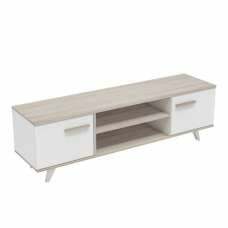 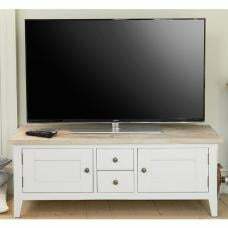 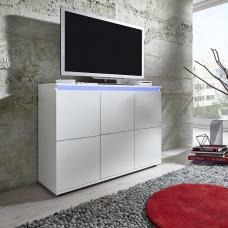 Beatrix Modern TV Stand In Matt White With LED Lighting And 2 Doors 1 Drawer and Open Compartments with Glass Lid. 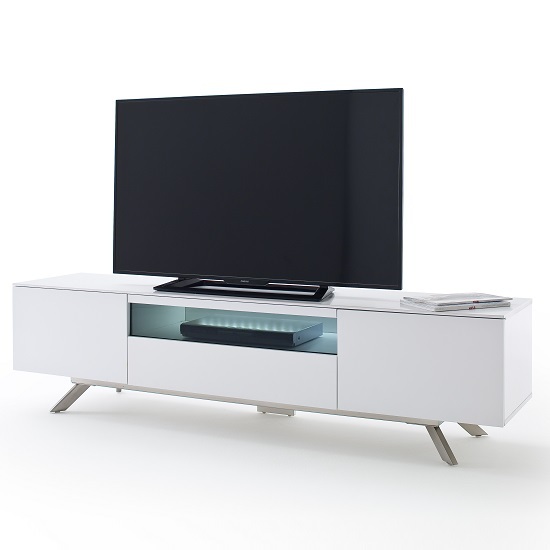 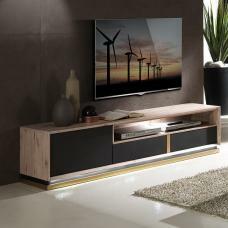 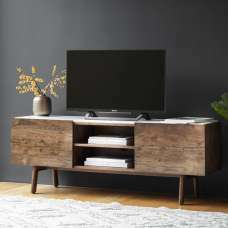 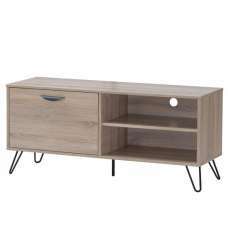 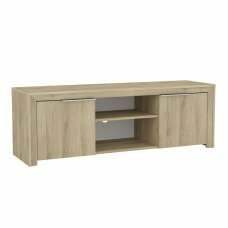 This Striking and Ultra modern TV Stand will become centre of attraction in your living room. 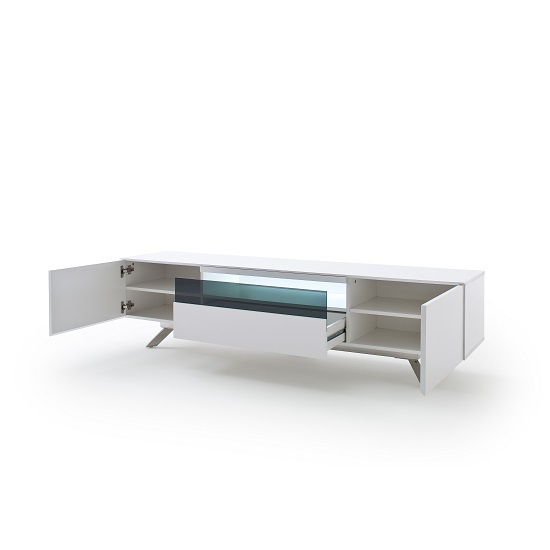 The highlight point of this unit is lighting, the lacquered white matt front and the safety glass in black. 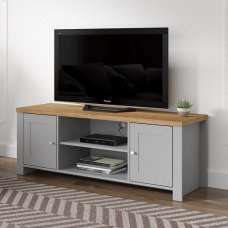 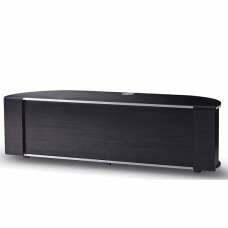 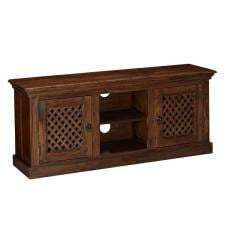 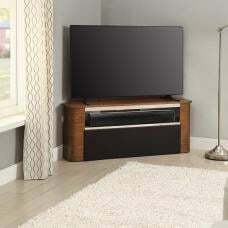 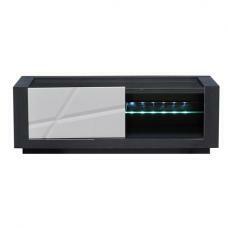 It provides ample of storage for media accessories through 2 doors, 1 drawer and open compartment. 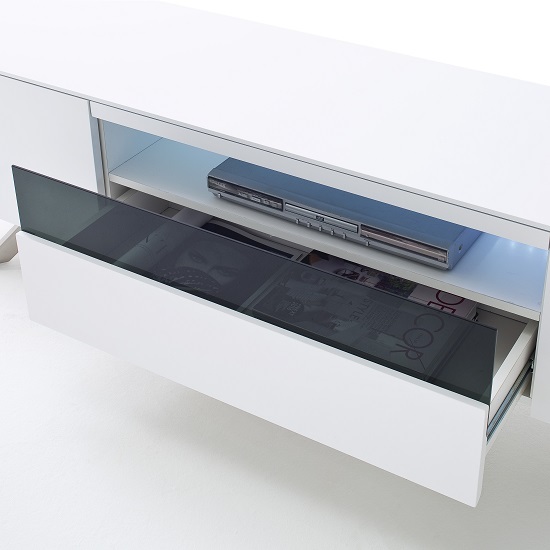 Drawer with glass lid adds a classic touch to this unit. 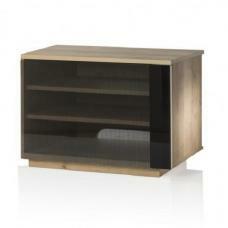 Brushed Stainless Steel legs adds an elegant to this unit.